The Wii Shop Channel is down right now, apparently because of maintenance, but one can only dream that something new could be coming. “The Wii Shop Channel is currently undergoing maintenance. Maybe they are adding support for new Virtual Console systems. One of the games released during today’s updated Virtual Console seems to have a little change made to it’s original N64 release. 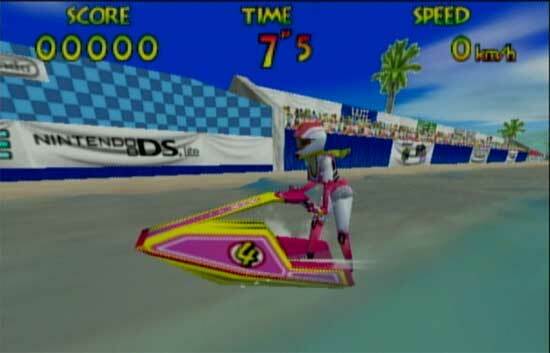 Nintendo has swapped the graphics for Kawasaki, which is no longer licensed to Nintendo, with advertisements for the Wii and Nintendo DS. 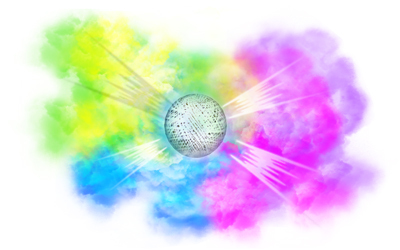 Today, The DOJO, updated their site with an item called a Smoke Ball. 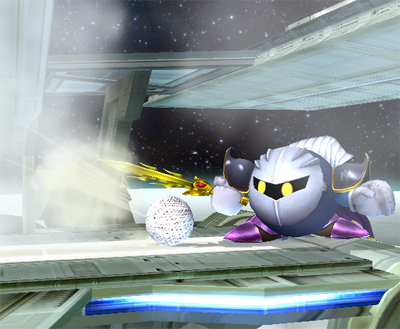 When the item is used, a cloud of smoke begins to for. It basically blocks your vision. 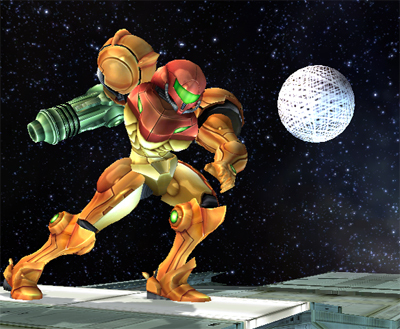 What makes a game truly classic? Is it unforgettable graphics or timeless characters? Is it crisp realism or mesmerizing fantasy realms? The answer, of course, is all of the above, and this week’s additions to the Wii Shop Channel cover the whole gamut. From wild water sports to heroic puzzling to intergalactic space battles, these newly available titles are proven favorites you’ll learn to love all over again on your Wii™. 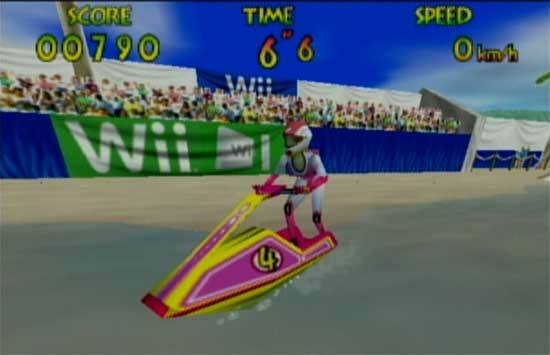 Wave Race® 64 (Nintendo® 64, 1-2 players, rated E for Everyone, 1,000 Wii Points): Take to the waves on your own personal watercraft and experience some of the best water effects in video game history. 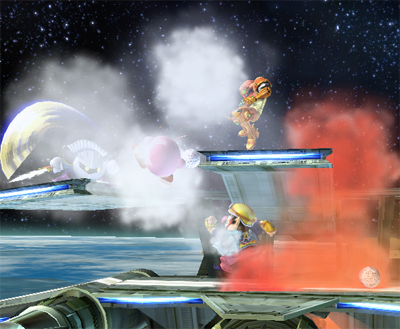 Choose one of four characters, each with his/her own unique abilities and style, and master the game’s excellent controls. Make your way through nine courses, each with its own challenges. If the ramps, mines and hairpin turns aren’t enough, you’ll also have to deal with varying weather conditions that can make the water choppy or cover the course with fog. And if you ever feel like taking a break from racing, then try out Stunt Mode to polish your skills by pulling off handstands, rolls and more. Get good enough and you might even be able to ride a dolphin-just don’t get seasick. ADVENTURES OF LOLO™ (NES®, 1 player, rated E for Everyone, 500 Wii Points): This was the first game in the Eggerland puzzle series to be released in North America. After the love of his life, Lala, is kidnapped by the Great Devil and taken to a haunted castle, our hero Lolo sets out to rescue her. The journey is perilous because the Great Devil’s fortress is guarded by a massive army. But Lolo has a few tricks up his sleeve, including a Magic Shot that turns enemies into eggs and an Emerald Framer that shields him from attacks. Combining clever environmental puzzles with tricky enemies and an engaging style, ADVENTURES OF LOLO is a true classic. GALAGA™ ’90 (TurboGrafx16, 1 player, rated E for Everyone, 600 Wii Points): This is an updated version of the classic arcade shooter Galaga. Set in the vast reaches of space, you will fight your way through all 29 rounds to reach the enemies’ stronghold on Planet Galaga. Game levels consist of a few rounds with changing enemies and backgrounds. 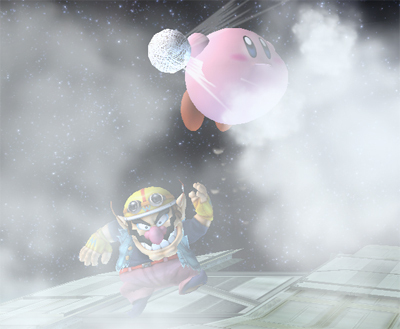 To top it off, the nostalgic “Galactic Dancing” lives on to mark the end of each level. With the new addition of dimensions, you can choose your attack route. Collect capsules and open dimension warps at branch sections to take on even tougher enemies. GALAGA ’90’s inclusion of the triple fighter, scrolling backgrounds, boss Galaga and even new system effects make it nothing less than a masterpiece.